Our Woodland Hills apartments are located in a vibrant suburban community in the southwestern part of the San Fernando Valley. They offer great weather and close proximity to shopping, dining, schools and recreational activities. They are also ideal for commuters since they are right off the Ventura Freeway (101). Woodland Hills apartments are just down the road from The Promenade at Woodland Hills where you will find terrific shopping, dining and movie theaters. Fallbrook Plaza, Topanga Plaza and Warner Plaza Shopping Centers are also nearby. The area also boasts great restaurants, including Jerry’s Famous Deli, Arnie Morton’s and the Cheesecake Factory. Families living in our Woodland Hills apartments will appreciate the many good public and private schools in the area, as well local colleges and universities like Cal State Northridge and Pepperdine. California is a great place for outdoor recreation, and our Woodland Hills apartments put you near many local and state parks. Warner Ranch Park and Woodland Hills Recreation Center offer baseball, football, soccer, basketball and tennis facilities. Upper Las Virgenes Canyon and Topanga State Park both have miles of hiking trails that offer panoramic views of the Valley and the Santa Monica Mountains. If you drive through any of the canyon roads you arrive at the great beaches of Malibu. Our Woodland Hills apartments are something special. The spacious apartments have large windows and private balconies to let in natural light. You get plenty of closet space, air conditioning, in-home washers and dryers and beautifully renovated kitchens with breakfast bars, and granite or faux-granite countertops. The vaulted ceilings and crown molding add an elegant touch. These gated, pet friendly Woodland Hills apartment communities provide covered parking and courtesy officers for safety and convenience. Clubhouses have business and fitness centers and racquetball courts. Outside you will find heated swimming pools, basketball courts, playgrounds, barbecue areas and more. Choose one of Equity’s Woodland Hills apartments for the best in suburban California living. 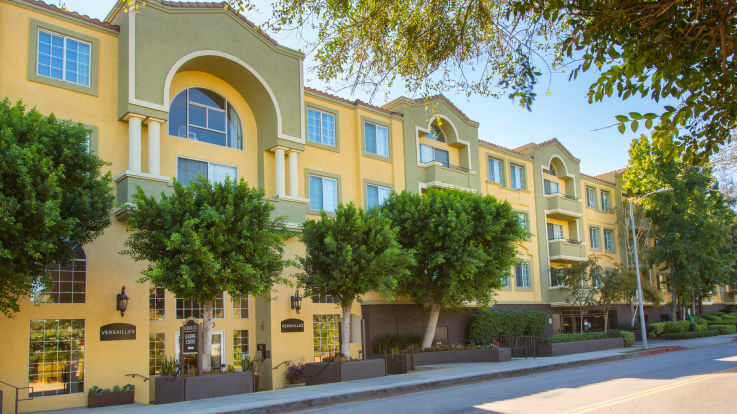 If our Woodland Hills apartments don’t meet your needs, consider our other luxury properties in Downtown Los Angeles, Hermosa Beach or Ventura County.